Wood bison. Herd of wood bison (Bison bison athabascae) on a farm in central Sakha (Yakutia) Republic, Russia. 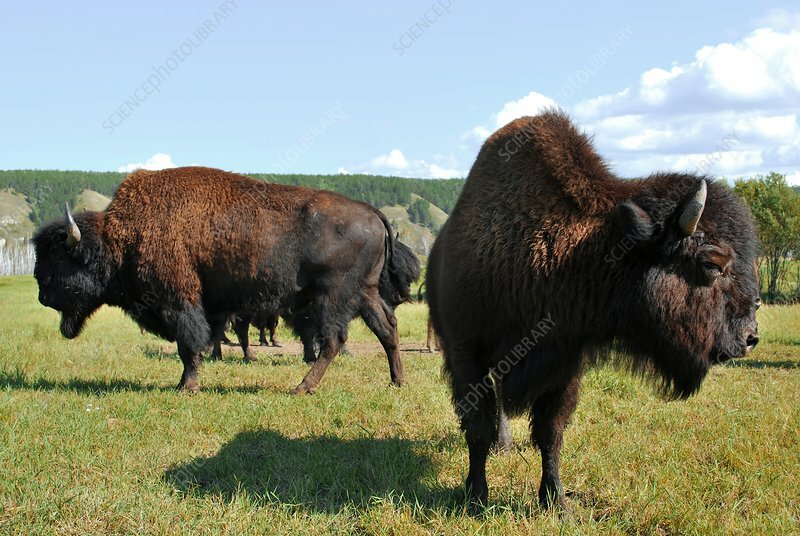 These Canadian wood bison were brought to this farm near the estuary of the Buotama River, in April 2006 as part of the Yakut-Canadian scientific project to re-introduce wood bison to Siberia, their historical homeland.